My very desserty friend just got matched for residency. 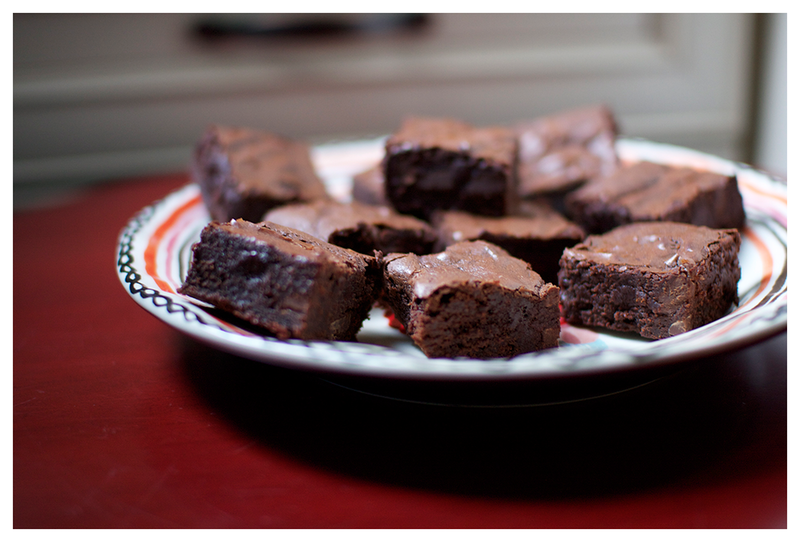 Hugely exciting, so to show my congratulations, I made him one of his most favorite desserts: brownies. As I mentioned in my Chocolate Chip Cookie Hunt post, he's actually eaten a WHOLE pan of brownies in the middle of the night because he couldn't resist...or stop himself once he started. I mean...who DOES that? Brownieholics, that's who. The first step is admitting you have a problem, buddy. Just sayin'. 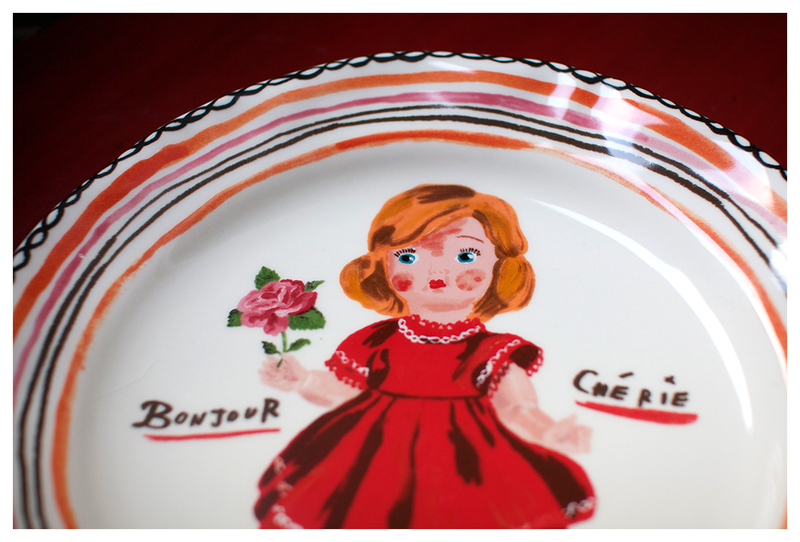 Can we take a hot minute to appreciate the adorable plate I got for my Birthday? It's like a little me, but cuter and Frencher. I found this quick n' easy recipe on Smitten Kitchen, and may I just say, that chick is a shark in the kitchen! 1. Position a rack in the lower third of the oven and preheat the oven to 325°F. Line the bottom and sides of an 8×8-inch square baking pan with parchment paper or foil. 2. Combine the butter, sugar, cocoa, and salt in a medium heatproof bowl and set the bowl in a wide skillet of barely simmering water. Stir from time to time until the butter is melted and the mixture is smooth and hot enough that you want to remove your finger fairly quickly after dipping it in to test. Remove the bowl from the skillet and set aside briefly until the mixture is only warm, not hot. It looks fairly gritty at this point, but don’t fret — it smooths out once the eggs and flour are added. Pro Tip: I made this really easy by nuking it in the microwave for 20 seconds (or until butter is mostly melted), stirred, back in for 30 secs, stirred, back in for 30 or so, until it's hot. 3. Stir in the vanilla with a wooden spoon. Add the eggs one at a time, stirring vigorously after each one. When the batter looks thick, shiny, and well blended, add the flour and stir until you cannot see it any longer, then beat vigorously for 40 strokes with the wooden spoon or a rubber spatula. Stir in the nuts, if using. Spread evenly in the lined pan. 4. Bake until a toothpick plunged into the center emerges slightly moist with batter, 20 to 25 minutes is Medrich’s suggestion mine took at least 10 minutes longer to get them set. Let cool completely on a rack. Pro Tip: If you're antsy-pantsy, toss the pan in the fridge or freezer for a while to speed things up. Have a glass of milk handy, because you're going to need it.